When we walked into Arpege, Chef Passard was standing at the reception desk. We were not sure he remembered us from the dinner at Manresa. He could not have been more cordial and gracious. He was particularly taken with my Katherine Baumann Caviar bag. This bag has been a huge hit. One time at The French Laundry a food runner was heard to say, “What do I do? 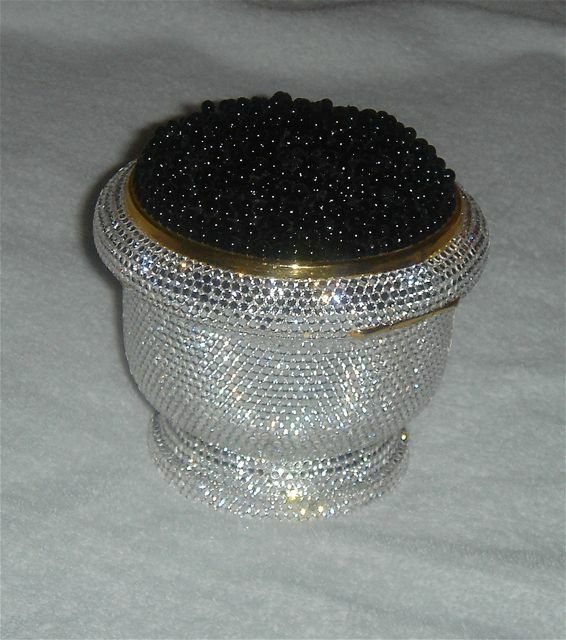 The Haskell’s brought their own caviar!” It is a stunner. Helen, the Maitre d’ who handled our ordering process was extraordinary. She helped us create a meal of splits. She steered us to what she would order herself. Several of the dishes were not listed on the menu. 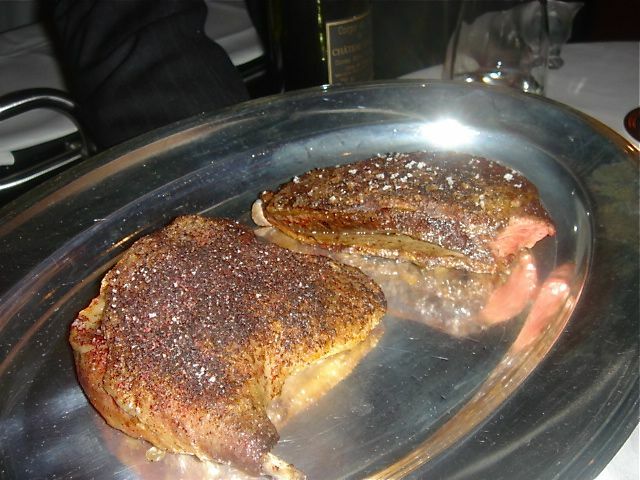 We have dined at Arpege several times. This was one of the best! The Arpege egg. Absolutely perfect, A++++. I read somewhere that instead of using salt and pepper, Chef Passard is now using a quatre  spice mixture. The egg definitely had more kick. John has placed his order for this new version immediately after we get home. I feel my version will always be B- until I get my own chickens laying fresh eggs. A side note about the butter—fabulous is an understatement. 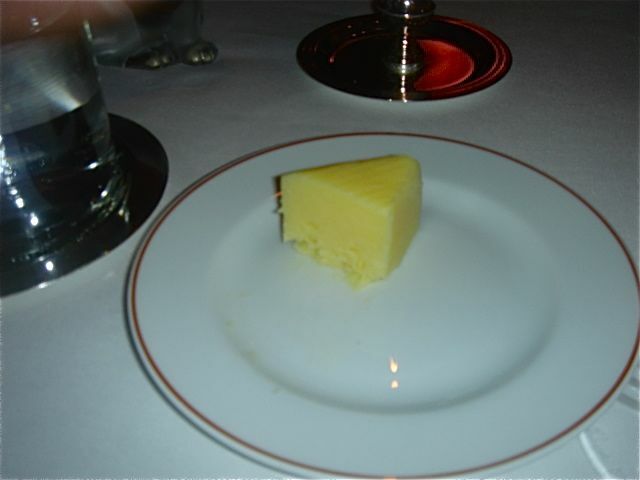 We are not sure if it was Bordier butter, but John ate every bite—having butter with a touch of bread. Fabulous!! Scallop Carpaccio with sliced black truffles, olive oil and arugula. Although John says he absolutely hates scallops, he loved this course. 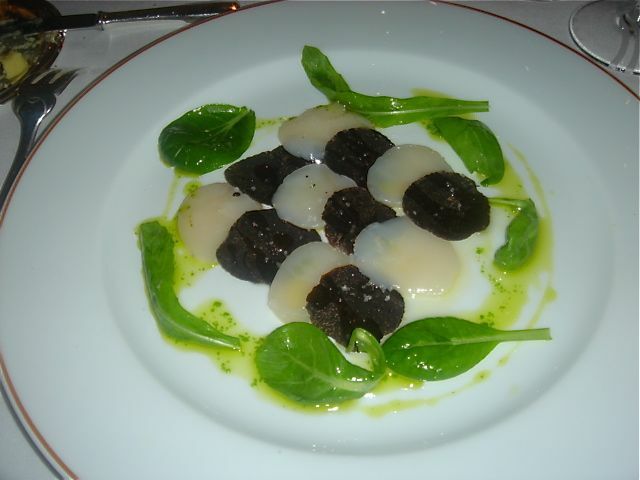 The scallops were extraordinary and the black truffles, which have been iffy in most places this year, were excellent. A real winner dish. 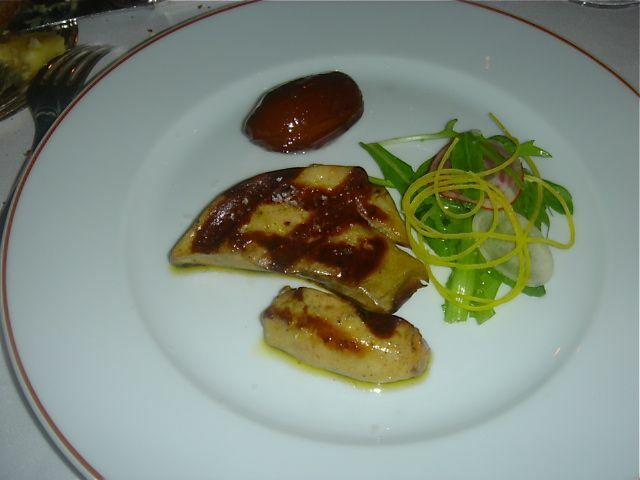 Grilled foie gras with dates—the menu lists the foie being from Madeleine de Nonancourt. 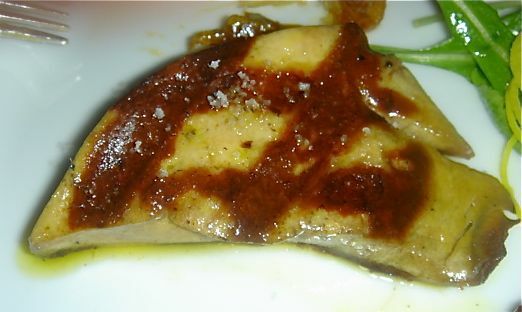 We don’t think we have ever had grilled foie before [the grille marks were clear on the foie]. The foie melted in your mouth. After the lousy foie at Guy Savoy, we were delighted. It was served with a small salad of veggies, radish, and lettuces from Passard’s garden. Ravioli filled with leeks, onions, and pistachio in a carrot broth. We were astonished by the great flavor of the intense broth. It was the essence of the best carrots. Homard de Chausey a la truffe noir. The lobster is first presented whole [we named him George]. When it is returned to the kitchen it is split in half and served with smoked potatoes, spinach leaves and a Jura wine sauce. 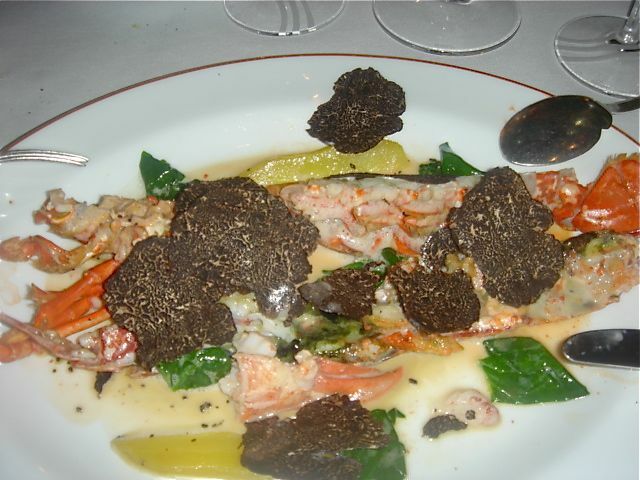 As it was served, Helen arrived to shave a huge portion of black truffles over the open lobster half. 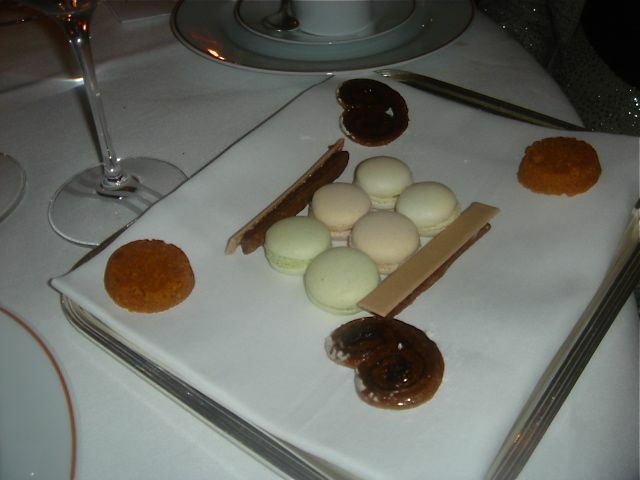 In reality, the truffles were unnecessary and really did not add to the dish. 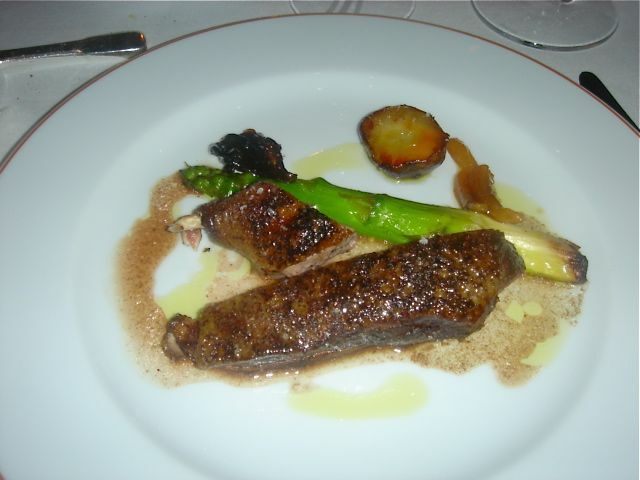 Wild Challans Duck with Pertuis asparagus and Jerusalem Artichoke. My notes are missing all of the details of the spicing of the duck. It was a winner! Enough said. Bernard Antony’s 2003 aged Comte cheese—very special flavor, dry, dense and very special…we are not really qualified with the words to describe this special treat. Moutlouis :Remuis” 2006. Domaine de la toile aux loups, Jacky Blot—very fresh, clean and excellent with the early dishes. 2003 Chatea Gasqui,Corpse Ame. Solid, clean and excellent with the duck and cheese. We like Passard and respect his commitment to delivering outstanding cuisine with special unique creative touches. Helen made the service side of the equation special. This meal was outstanding. It was a complete pleasure. Absolute quality and yes very expensive but it was worth the time and cost. Arpege was having a 20th anniversary menu at the unheard of price of 130 euros. Their normal tasting menu is 320 euros. 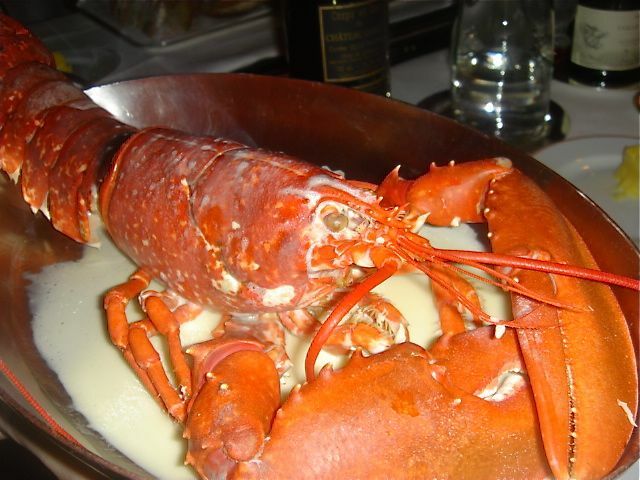 However, I did add on a lobster course so it wasn’t exactly “cheap” at 200 euros per person for food. At one, there were only 5 people in the restaurant. Eventually they ended up serving 16 people. Amuse – two tiny tarts. One with langoustine and apple that was excellent and one with vegetable mousse that was tasteless. 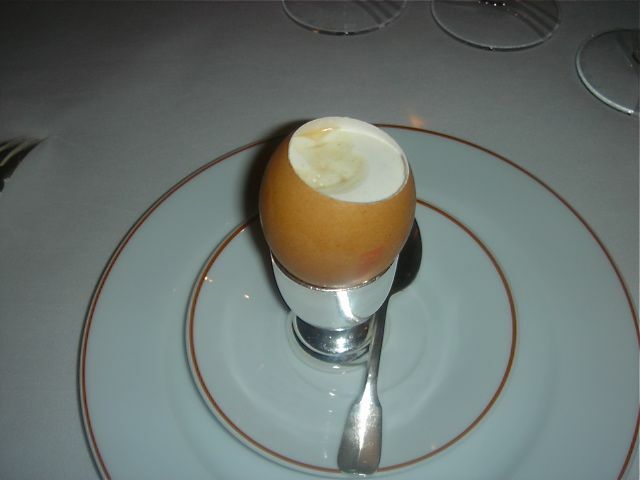 This is the famous Arpege egg. It is actually an egg yolk, simmered in the shell for 3 minutes or just until the yolk begins to set, It is then seasoned with salt and pepper, a sprinkling of chives, some lightly whipped cream with sherry vinegar and finally a drizzle of maple syrup. I noticed that this time, there was less of a sweet component and I am guessing that less maple syrup was utilized. The quality of the egg was outstanding and as I make this dish often, I couldn’t help thinking that I will never be able to replicate it as well with my market’s eggs. 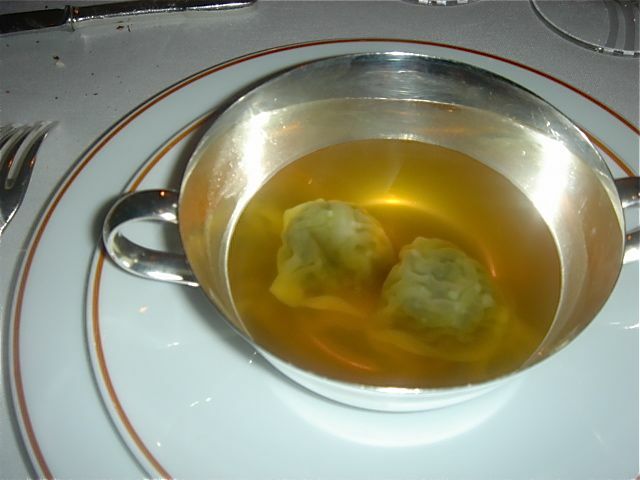 The ravioli were filled with langoustine and the consommé was outstanding. There was a pronounced Indian-spice taste in this dish. Sweet onion gratin with parmesan and lemon, mache lettuce on top. I just don’t get this dish. John’s comment was that this was an “el cheapo” nothing dish. How can spinach and carrot mousse be exquisite? But it was. Of course “bottom-line John” wondered what the food cost was in this dish. Monkfish with mustard sauce, flagelots and fingerling potatoes. The fish was spectacular – my notes say as good as it gets. The mustard sauce had a lard flavor to it – excellent. Sixth Course (add on) Blue Lobster with Jura wine sauce, green cabbage and leeks, tomalley. 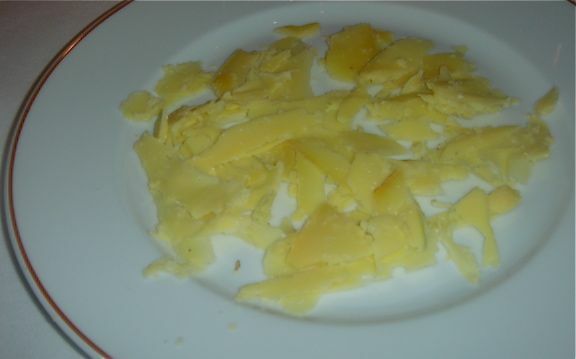 Had the 2002 aged Comte in addition to other cheeses. Eighth Course – Caramelized Tomato Ice Cream with caramel sauce made with salty butter and hazelnuts. Conclusion: If I ignore the entire question of value and just focus on the food, there is no doubt that Arpege is a unique experience. 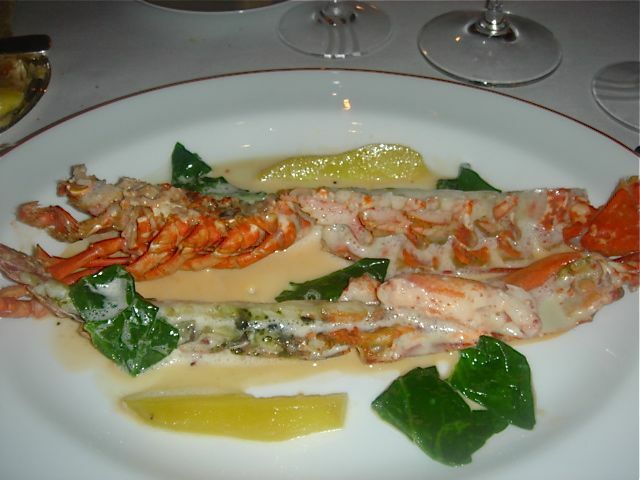 Some of his dishes are sublime, his vegetables are wondrous and the lobster dish absolutely wonderful. (By the way, we ordered the lobster as a one for two split.) I just don’t get the onion gratin dish and would never order it a la carte.